As soon as we heard Miguel Torga’s tracks for the first time we couldn’t help but ask him to publish them ourselves, even though we didn’t have anything close to a label up and running at the time - “Oh man, we gotta get this out there!” - we squeaked. We can thus assume with a certain level of accuracy that the whole Freima Labs adventure was partly his fault. 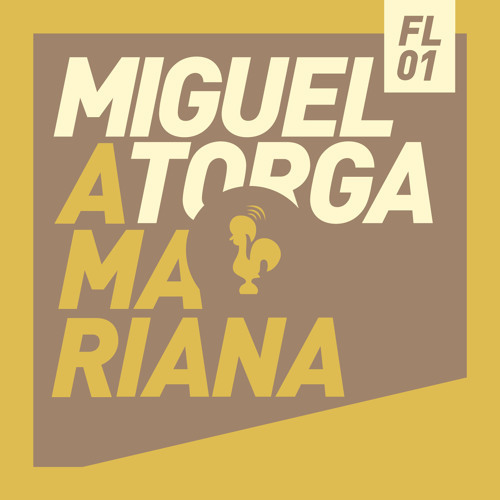 "A Mariana" EP features two of Miguel Torga’s most delicious tracks so far - "A Mariana" and "Problemas Com O Segundo Planeta" - which irrevocably show off his gifted skills and genuine taste for a highly physical yet deeply brainy Techno/House. Last but not least, "A Mariana" was entitled to two beautiful remixes, one by AlexFX - who is soon launching his own label Echømental, and is definitely one of our favourite Portuguese old-school producers - and the other by Pluie Noir label's boss Cleymoore. After our first release - the compilation "Weather Forecast" - Miguel Torga's "A Mariana" is Freima Labs' first EP, and one we feel strongly about.